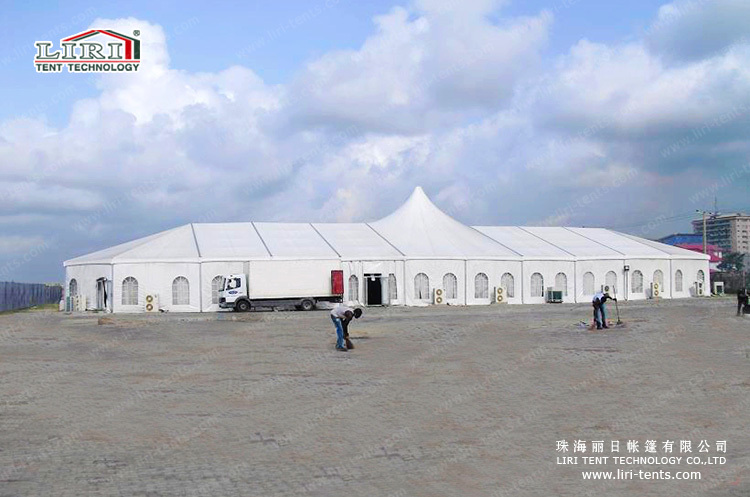 Aluminum Frame Structure Tent is suitable for temporary or permanent usage, thanks to the modular design, it will save you 2 times of time for installation as well as cost comparing to any bricks and mortar building. Find the best solution for your church function. 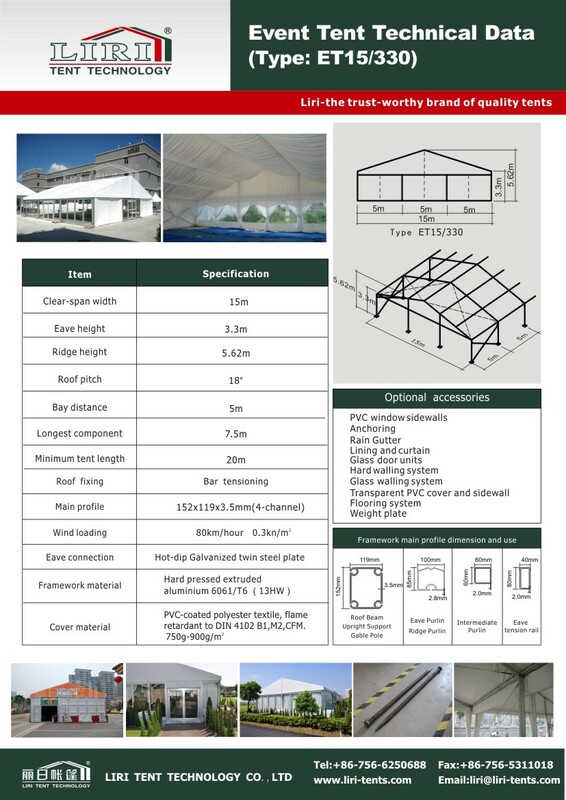 Length can be extended by 5m bay such as 15m,20m,30m,40m…Customized size is available. 7.Other Optional Items: table, chair, lighting, AC, carpet, installation tools etc.